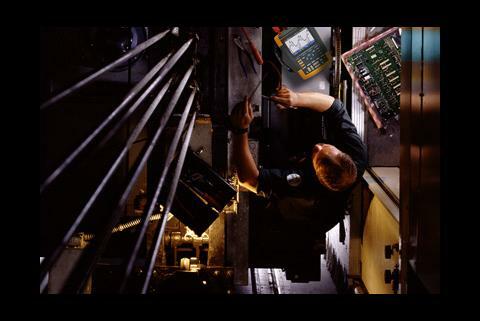 Challenge: Correctly troubleshooting a motor drives can be confusing and complex. 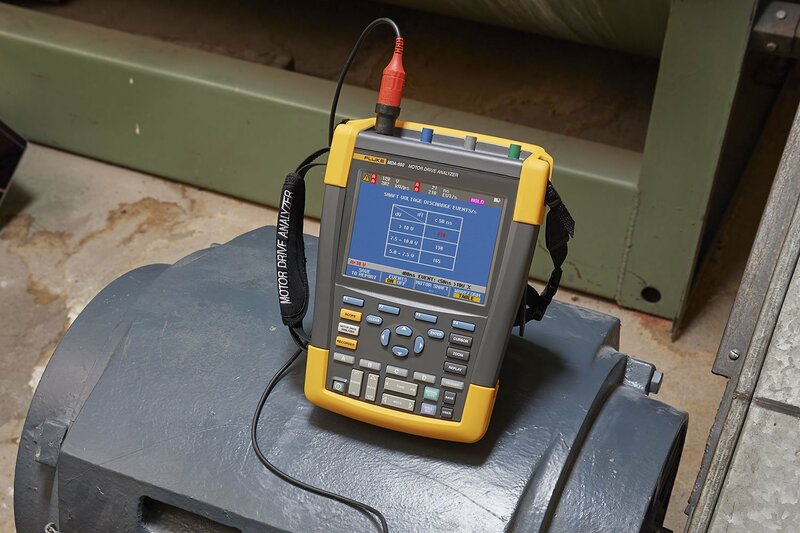 Solution: Fluke MDA-550 Motor Drive Analyzer makes troubleshooting and measuring easier by automating drive measurements and guiding users through test setups, as well as reducing the number of tools needed by combining several functions into one instrument. Synopsis: "You can have an oscilloscope where you can visualize the waveform and you can have a bearing discharge analyzer where you can count the number of discharges, but this instrument can do both things." Motor drives. They're everywhere and essential to adapting the speed of a motor to the needs of an application. Also called variable speed drives (VSD), variable frequency drives (VFD) and adjustable speed drives (ASD), motor drives are an important behind-the-scenes component in fans, pumps, compressors and other motor-driven equipment. Danfoss, a global maker of commercial refrigeration and heating systems, hydraulics and motor drives is one of the largest industrial companies and employers in Denmark. Founded by legendary innovator Mads Clausen, the 50-year old company has installed millions of motor drives around the globe. 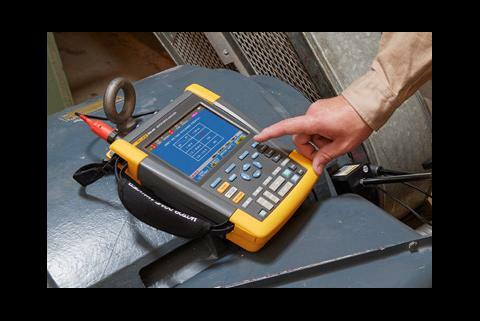 Danfoss recently partnered with Fluke to test the new Fluke MDA-550 Motor Drive Analyzer. 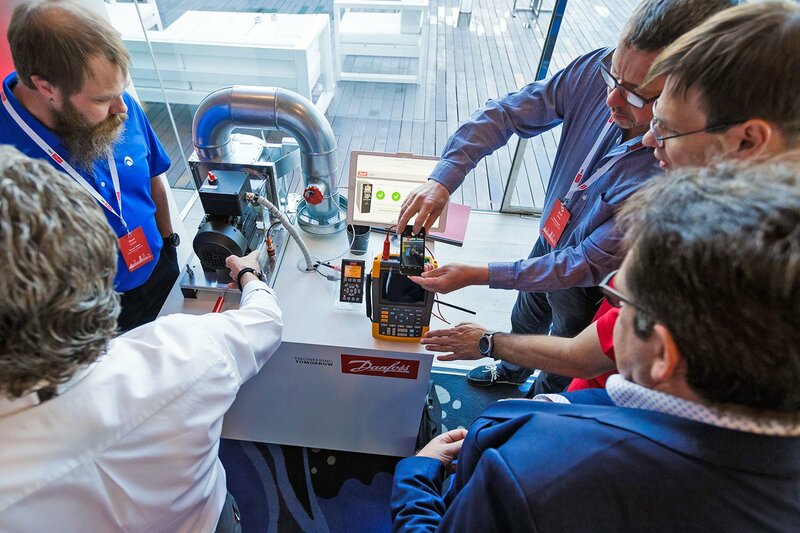 Norbert Hanigovszki, Project Director in the Technology Development Group of the Danfoss Drives division is often required to help with his expertise troubleshooting and supporting motor drive applications in the field. He has been with the company for 16 years and holds a bachelor's and master's degree in electrical engineering, as well as a doctorate in EMC and power electronics. "Today, when you go to a site for a service call and you don’t know exactly where you want to start looking or what you want to investigate, you will probably take with you a multimeter, an oscilloscope and a power analyzer," said Hanigovszki. "Besides that, you will need to have some special knowledge you have gained through experiences." "The motor drive analyzer changes things because you will only need one instrument," says Hanigovszki. "It's good enough for in-depth troubleshooting, and another advantage is that you get help from the instrument, from the diagrams and instructions." "It's sort of like a wizard. It tells you what you want to measure. If you want to measure, for example, the voltage of the output of the drive, it will pre-set the instrument in order to measure that particular spot." 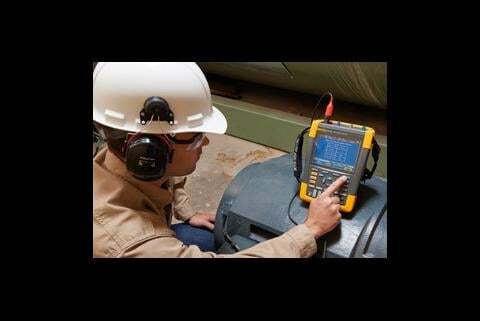 Hanigovszki said all motor drive analysis tests are important, however for him the "killer application" in the Fluke MDA is the motor shaft voltage testing function which can check for electrical discharge in motor bearings. "To troubleshoot, you need to analyze the discharge in the bearing from both a qualitative and a quantitative point of view," said Hanigovszki. "That means you want to see how big this discharge is, because the bigger the discharge the more damage it can produce. But you also want to know how often the discharge occurs because, clearly, the more often it occurs, the more damage or the faster the bearings will wear out." "The uniqueness of the motor drive analyzer is that it enables both a qualitative and a quantitative analysis so you will both—know how many discharges you get, and you will know the amplitude of the discharge and, like on any oscilloscope, you will be able to see the waveform to then quickly troubleshoot motor bearing problems." Hanigovszki emphasizes that not only will you want to look at what is happening the outside of the drive toward the motor, you will want to look at the grid side of the drive—how the drive impacts the supply grid. At the input of the drive, the motor drive analyzer can perform harmonic analysis. Motor drives can produce harmonic distortions that can potentially cause problems on other electrical equipment. "Thus, with the MDA 550 you have a tool that will give you an indication if you are overloading the grid with harmonics and harmonics are a secondary effect of power electronics in general," he said, "because power electronics tend to draw non-sinusoidal current from the mains and the analyzer can be used to assess the impact on the grid." 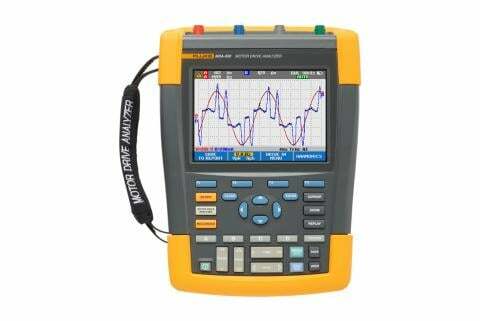 The Fluke MDA-550 also lets you easily gather data and create test reports with a built-in report generator, as well as store and replay up to 100 of your most recent screens. "Because when you are in the field and you see something and it's just a short glitch and then it's gone, you often are in this situation where you say ‘I wish I had saved that or I had captured that,' " said Hanigovszki. "But with this instrument it's very easy. You just hit replay and you rewind to the time where you observed whatever was interesting for the investigation." When discussing the technicians who would use this instrument, Hanigovszki notes that they don't have to be drive specialists because of the wizards and diagrams available to help them correctly measure motor drives. "The instrument is already set to perform the measurement," he says, "so the time scale will also be correct for the selected type of measurement. That is helpful for the non-motor drive specialists."